During the past decade, about 24.7% of the natural forested areas of China’s southern island province of Hainan have been lost, according to a report released by environmental group Greenpeace. The main cause is reported to be the plantation of forests for paper pulping by the Indonesian company Asia & Pulp Paper (APP). Remote sensing data from the US Geological Survey shows that Hainan’s forests shrank by 72,000 hectares between 2001 and 2010, representing a loss of 24.7% of the island’s total forested area. About 13% of the natural forested area in Hainan had been replanted with eucalyptus forests for the paper pulping industry. The forests have also been cleared for tourism, commercial crop plantations and development. Greenpeace blamed Hainan’s government and APP, a subsidiary of the Indonesian Sinar Mas Group, for the destruction of the island’s natural forests. Greenpeace said that it had been negotiating with APP and pushing the provincial government to pay attention to the company’s’s destruction of the forests, but its efforts had failed to stop the destruction. It is reported that in 1994, Hainan’s government won a contract from APP to develop a paper pulping industry on the island and partnered with the company for mutual development. In 1997, the provincial government invested in APP in order to step up the industrial development. 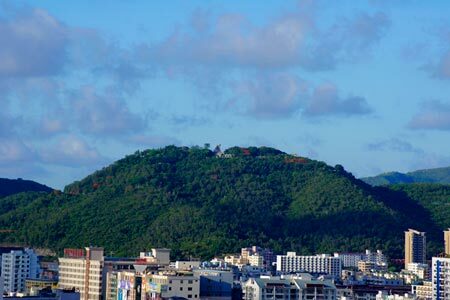 An official at the department of forestry in Hainan said that the government emphasizes the importance of industrial development over protecting its natural forests, reported the weekly Economic Observer.